Julia is a native Chicagoan and future CPA. She works for Deloitte & Touche in its Chicago audit practice mostly in the aerospace and defense sector. In addition, she is a business consultant, artist, and innovator for girls. She co-founded MakerGirl while earning her Bachelors of Science in Accountancy in 2015 and Masters of Accounting Science in 2016 from the University of Illinois, Urbana-Champaign. While attending UIUC, she spent a semester honing her French and Spanish skills at L’Ecole Superior de Commerce a Paris (ESCP), FR. She interned at Deloitte for three summers, at Condé Nast-owned TeenVogue in the production department in NYC and at Rent the Runway in the finance department in NYC. She is an avid lover of people, art, reading, traveling, volunteering, health and wellness, and playing Catan with her friends and family. Elizabeth is a Nonprofit Account Executive for LinkedIn and co-founder of MakerGirl. She co-founded the nonprofit 3 years ago because she wanted girls to see that STEM can combine creativity and analytical thinking, and she is passionate about bringing this mindset to girls in rural and underserved areas since she grew up on a farm and felt the gap in accessing STEM-related opportunities. She graduated from Gies College of Business in 2015 with a double major in Supply Chain Management and Marketing and a minor in the Hoeft Technology & Management program. While in university, she was a member of Chi Omega, Business Council, and started the NRF UIUC chapter. Elizabeth enjoys learning and challenging herself through travel and fitness. She has studied abroad in China, Brazil, and India and served with Park Community Church in North Africa and Thailand. In her free time, she enjoys reading and making cards. Stephanie is a graduate of Educational Studies Master’s program at the University of Michigan as well as a former student-athlete and Molecular Biology major at the University of Illinois at Urbana-Champaign. She gained educational programming experience at her former position at Toyology Toys. 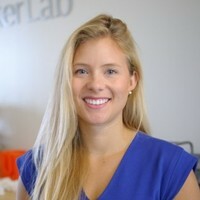 Hein served as MakerGirl’s Engagement Director in 2016 and assisted raising over $30,000 through a Kickstarter campaign and organized #MakerGirlGoesMobile, a 10,000 mile cross-country road trip that brought 3D printing sessions to over 1,000 girls in rural and underserved communities across the country.